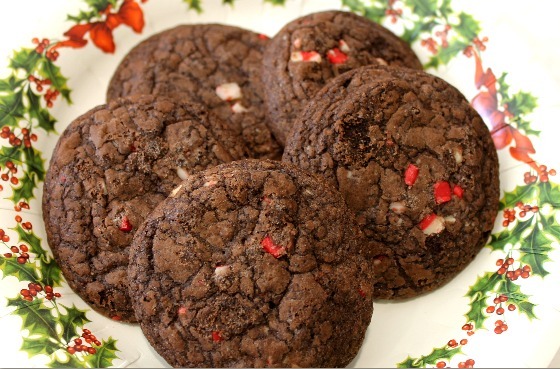 Christmas is just a little over a week away, so obviously we need to talk cookies! This year I participated in the great food blogger cookie swap and not only was it a lot of fun, but by participating you helped raise money for Cookies for Kids’ Cancer, which was the main reason I signed up for the swap. I’ve done a few cookie swaps already with some of my fellow blogger friends, but for this one we were assigned people based on our dietary needs which was awesome. Since the bloggers I had couldn’t have nuts, I went with my favorite tried and true recipe: oatmeal chocolate chip cookies adapted from the Tartine cookbook (seriously, if you haven’t made these yet, DO IT). My first set of cookies I received came from Heather from Majorly Delicious. She made salted caramel bars, and as expected, they were amazing. My husband pretty much devoured two right on the spot, and we ended up freezing a couple to have as a frozen treat when the mood strikes as well. Heather was also SO great in listing out all the ingredients she used as well as the brand so I could double-check to make sure there weren’t any hidden allergens in there. Our next batch came from TammyJo from the Chocolate Cult, and they were chocolate banana cookies. Banana and chocolate are pretty much a harmonious combo (as is banana and pb) so these were great. Loved the tin they came in as well! 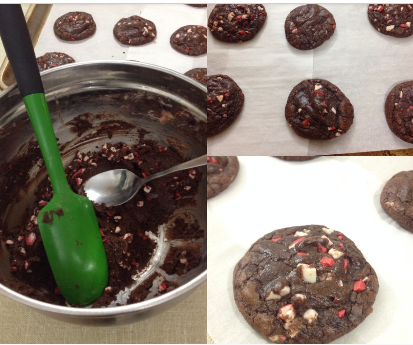 Last but certainly not least, Betsy from Java Cupcake sent her easy chocolate chip cookies with holiday sprinkles! And really, you can’t go wrong when sprinkles are involved. I loved that the 3 batches of cookies I received were all so different and I felt really reflected each blogger’s personality. The cookie swap definitely got me in the holiday spirit and I can’t wait to do some more holiday baking this month. 1. Pre-heat your oven to 350F. Lightly grease two baking sheets with cooking spray or line with parchment paper. 2. In a mixing bowl blend your flour, baking powder, baking soda and oats and set aside. 3. Using a stand mixer or a hand mixer (or you can whisk by hand) beat your coconut oil until creamy and begin to fold in your sugar. 4. Add your eggs one at a time and continue to mix until well blended. 5. Add your milk, vanilla and salt to your wet mixture and then slowly fold in your dry ingredients. 6. Lastly add your pecans and chocolate chips and continue to mix until everything is nicely combined. 7. Scoop spoonfuls of dough onto the baking sheet and flatten. You may need to wet your hands a bit since the dough will be sticky. 8. Place cookies in the oven and bake for 10-12 minutes or until the bottoms are lightly browned. Remove cookies from oven and let cool, then enjoy! Interested in participating in the Great Food Blogger Cookie Swap? Learn more here. 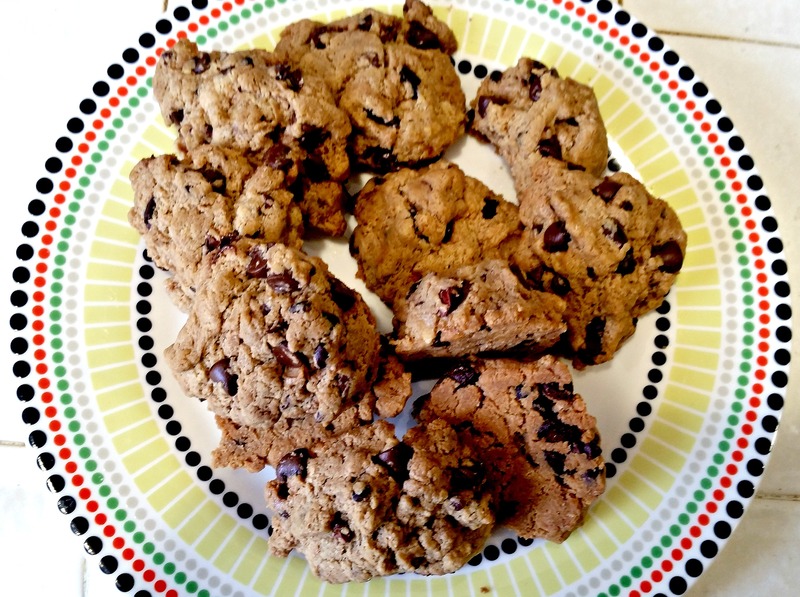 This entry was posted in Breads and Baked Goods, Dessert, Food Bloggers, Good Eats and tagged cookie swap, cookies, holiday on December 15, 2014 by allie@sweetpotatobites. I came to the startling realization that it has been far too long since I posted a cookie recipe on Sweet Potato Bites! After the Christmas cookie extravaganza I went on a bit of a cookie detox, but I recently found myself craving cookies once again. 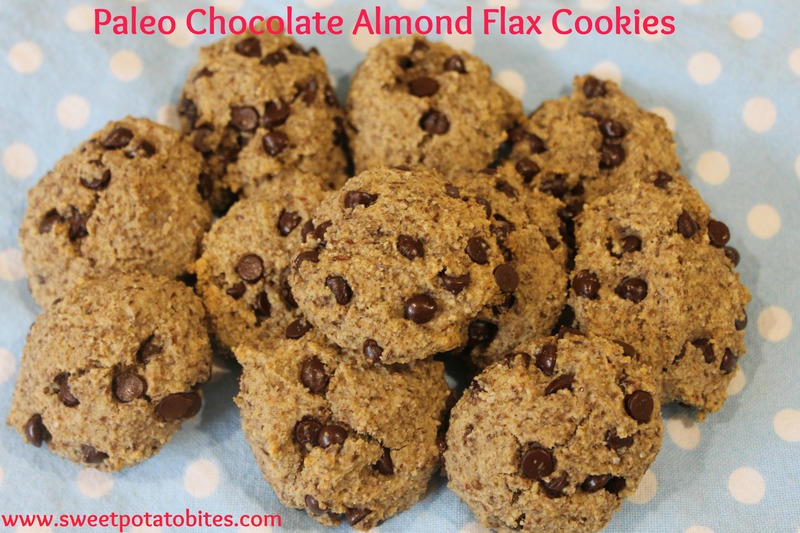 So I decided to do an updated version of my Power Cookie recipe, and created Paleo Chocolate Almond Flax cookies. Like my power cookies, these paleo chocolate almond flax cookies are on the healthier side, because my wedding is less than 3 months away (!) and I have a lovely dress to fit into. 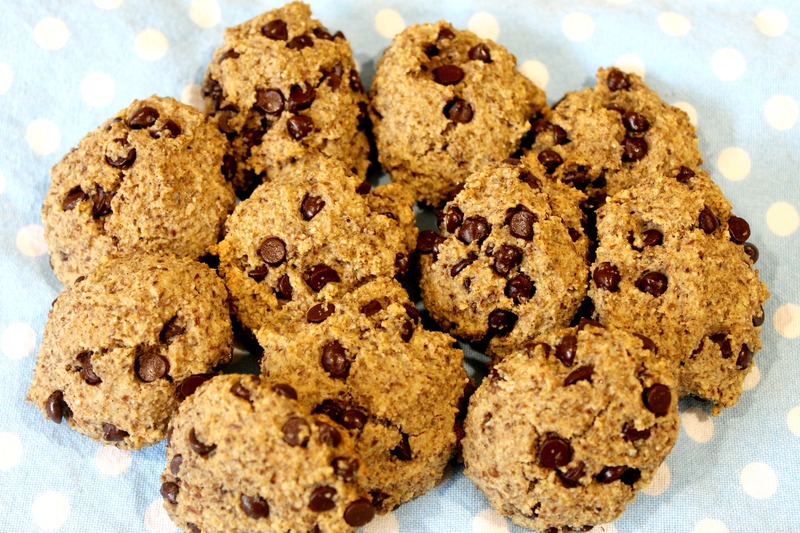 With the exception of the chocolate chips, there’s no added sugar in these cookies and they are made with good things like ground flax and almond flour. There’s also a little bit of butter in these cookies, but butter makes everything better. Preheat your oven to 350F. Line a baking sheet with parchment paper. Melt your tablespoon of butter over low heat and set aside. In a mixing bowl add your almond flour, flaxseed, baking powder, salt and cinnamon and mix until there are no lumps. Add your melted butter, egg, water and vanilla to the mixture and continue to blend. Fold in your chocolate chips. Spoon your mixture onto your baking sheet and flatten each cookie slightly with the palm of your hand. The mixture will be a bit sticky so you may need to wet your hands a few times as you form each cookie. Place in the oven and bake for 12-15 minutes or until the bottoms are lightly browned. Remove from oven, cool, and enjoy. 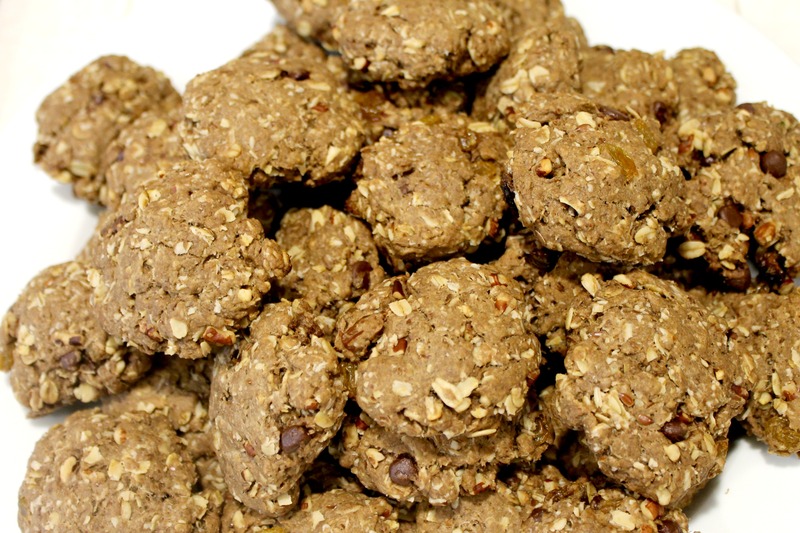 What’s your favorite healthy cookie recipe? 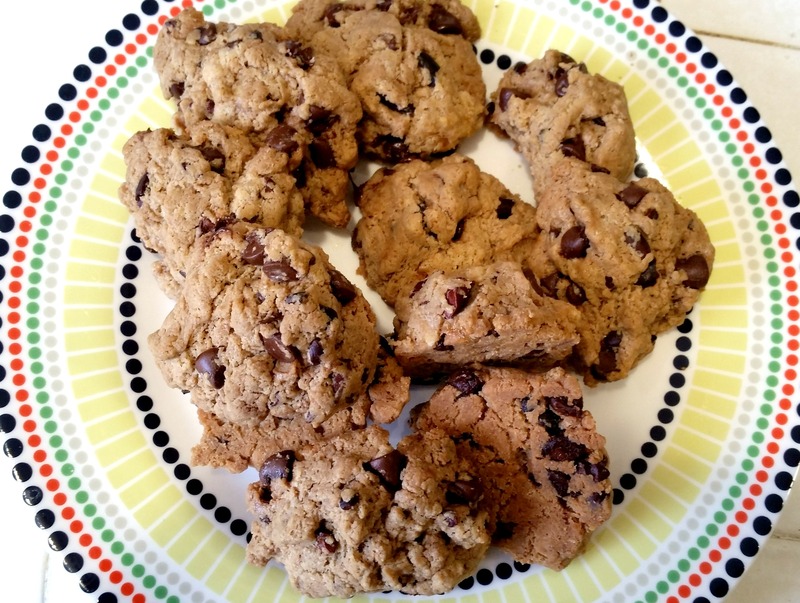 This entry was posted in Baking, Dessert, Gluten-Free, Good Eats, Healthy, Paleo and tagged chocolate, cookies on March 3, 2014 by allie@sweetpotatobites. One of the great things about blogging is all the wonderful people you “meet.” Natalie from In Nat’s Shoes and I have been internet friends for a while now, but have never met in real life (hopefully one day!). We decided it would be fun to do a little cookie swap and sent each other some holiday treats. I sent her a batch of delicious Chocolate Oatmeal Pecan cookies which you can learn more about on her blog, and she sent me her famous 1-2-3 Cookies! 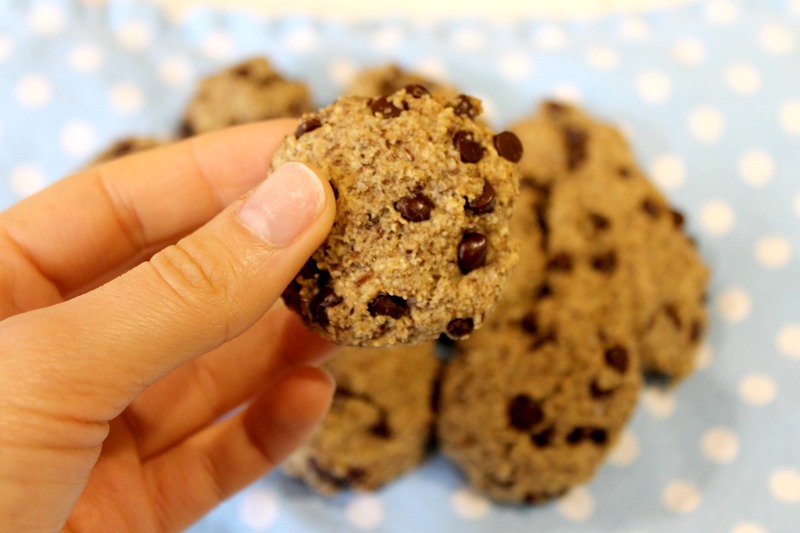 I’ll let Natalie tell you more about these yummy 1-2-3 cookies that are easy to make and require minimal ingredients. Hello Sweet Potato Bites readers! I’m Natalie from In Natalie’s Shoes, and I’m quite honored to be the blogger writing to you today. Allie and I devised a plot to exchange cookies and recipes after the first #FoodieChats of December. I knew I needed to have received my cookies before I left for a three-week vacation, so we both had to bake that weekend. Luckily, we both live in California, so we’d got each others cookies very quickly. Mix cake mix, eggs, and vegetable oil in a mixing bowl until well blended. Stir in the peppermint pieces. Roll dough into 1-2″ balls and place on the lined cookie sheet. Bake for 9-10 minutes, cookies may seem fluffy, but will settle. Cool on a wire rack. The nice thing about these cookies is that you can use whatever cake mix you’d like and then mix in whatever you’d like to create all sorts of combinations. I typically use what I have on hand, so no two recipes are always the same. If anyone has any recommendations for pairings, I’d love to hear! Natalie is a twenty-something food fanatic. By day, she works for a non-profit, by night she dreams of becoming a domestic goddess, creating adorable crafts to gift and engineering delicious home cooked meals for the fabulous dinner parties she’ll one day throw. She loves to travel, locally, regionally… heck, even internationally and doesn’t discriminate too much when it comes to a new destination. She’s a little obsessed with taking photos of the food she eats, whether she makes it or pays to eat it. It is her firm belief that a girl can never have enough purses or too many shoes. Follow Natalie’s adventures at In Natalie’s Shoes or @InNatsShoes. 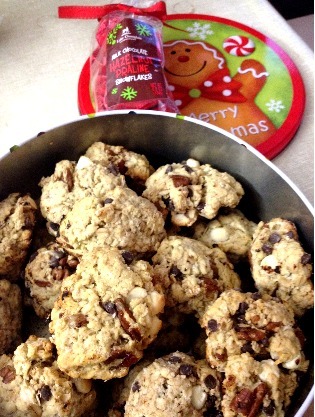 This entry was posted in Baking, Best Of, Holiday and tagged cookies, food bloggers on December 16, 2013 by allie@sweetpotatobites.